Despite increased interest in mobile devices as learning tools, the amount of available primary research studies on their integration into mathematics teaching and learning is still relatively small due to the novelty of these technologies. Integrating Touch-Enabled and Mobile Devices into Contemporary Mathematics Education presents the best practices in mathematics education research and teaching practice by providing an account of current and future trends and issues in mobile mathematics learning and associated technologies and educational methodologies. 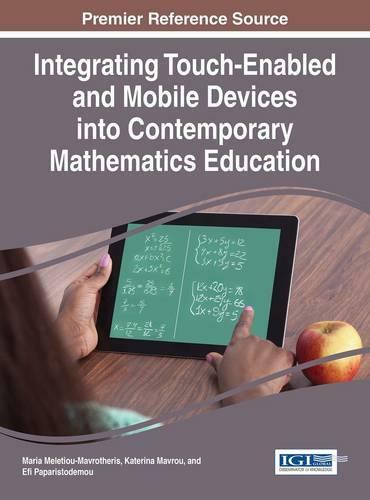 This edited volume approaches a broad audience including researchers and practitioners interested in the exploitation of mobile technologies in mathematics teaching and learning, as well as mathematics teachers at all levels. This premier reference source compiles the best practices and recommended processes for effectively utilizing the vast capabilities of mobile technologies in the mathematics classroom through a collection of chapters covering topics including, but not limited to, touch-enabled virtual mapping, perceptual learning technologies, mobile teaching, statistics apps for mobile devices, smartphones for the visually impaired, pedagogical and instructional design, and touch screen interfaces in algebraic instruction.